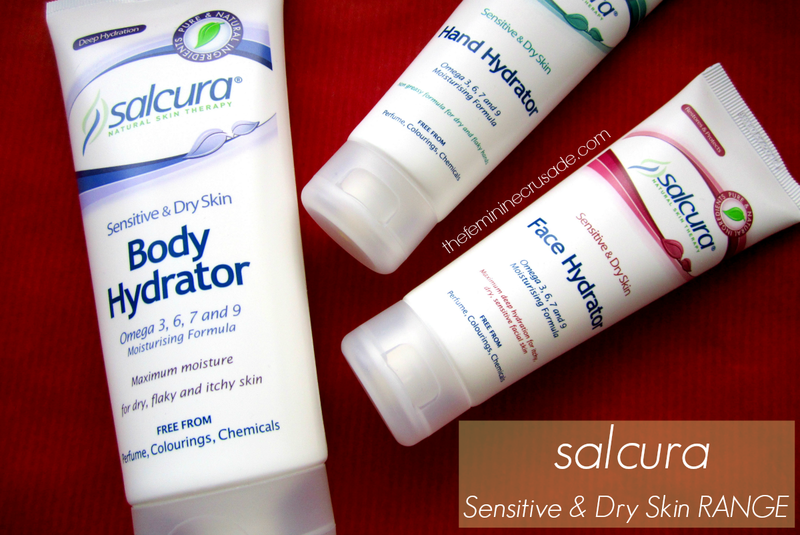 I was very kindly sent some amazing products by Salcura some two months ago. It was a great experience trying out their Sensitive & Dry Skin and Antiac range. In winters most of us suffer from dry, flaky skin all over and we all know that can be a nuisance. Salcura's particular range is rich in omegas helping in keeping the skin healthy and nourished. And the best part is, it is natural, devoid of any chemicals. Salcura ‘Omega Rich’ Sensitive & Dry Skin Range is the only range that uses 4 different skin essential omegas to deliver highly effective skin moisturisation and repair. The products have been developed specifically for people prone to mild or moderate dry skin and is suitable for use from a very young age and on all skin types. The light lotions absorbs quickly and deeply into the skin, making it easy and pleasant to use on a regular basis. 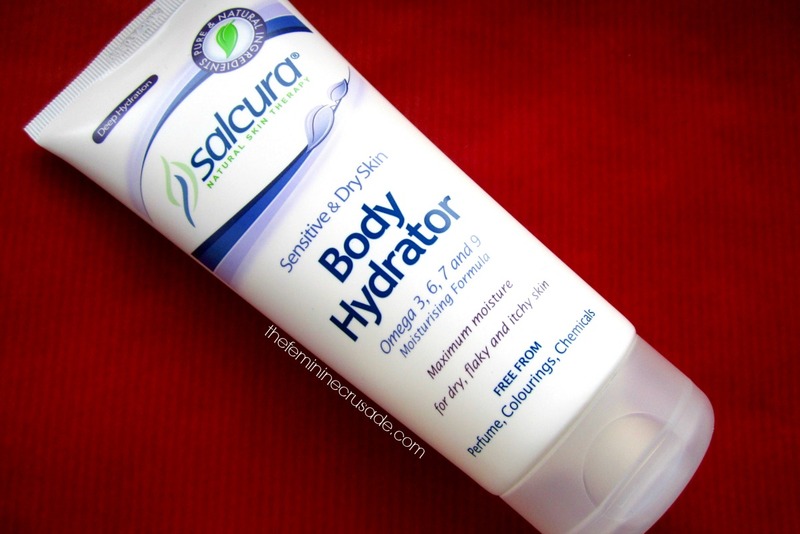 This freshly-fragranced body hydrator is great for keeping the body well moisturised. It doesn't take toll over my superiorly-rich The Body Shop Body Butters but for mildly dry skin and less that don't suffer from a lot of flakiness this body hydrator will work quite well. Also if you live in a humid place and still want something non-greasy and fresh for your body without feeling heavy, this quickly-absorbing light body cream is perfect. Not to mention it is pretty inexpensive! 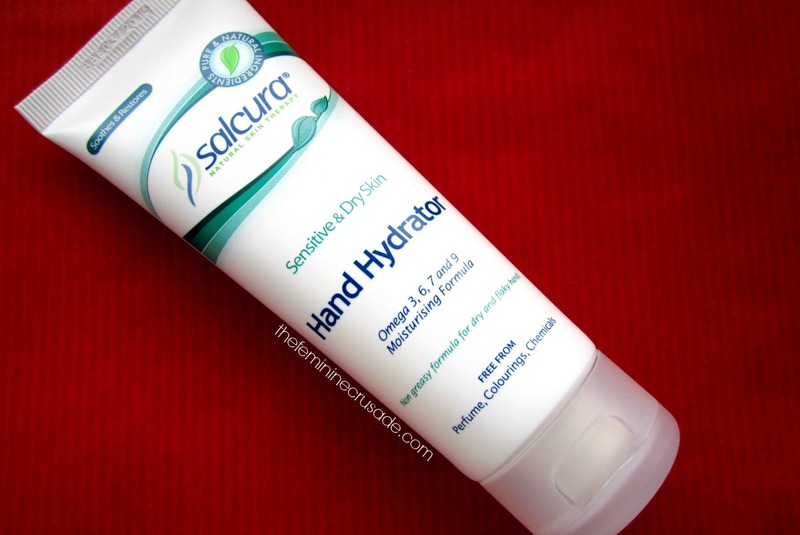 The hand hydrator is very similar in formula to the body hydrator above, just a tad bit lighter. I personally think you don't need a separate hand hydrator when you have a jumbo 200ml tube of body hydrator but of course this 75ml tube comes in super handy while traveling. I love to keep it in my handbag and apply it throughout the day when my hands feel dry. 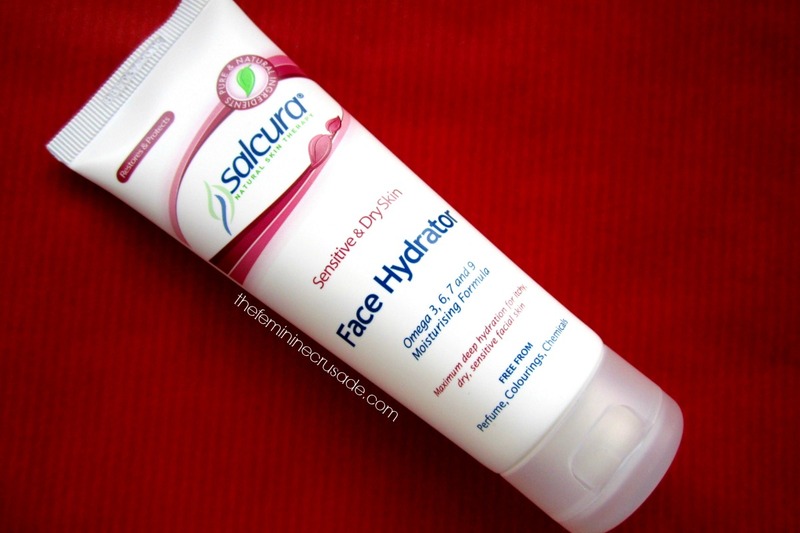 I am really skeptical with face products but this Salcura Face Hydrator was a pleasant surprise. If you don't have a lot of skin issues this face hydrator is light, absorbs quickly, non-greasy and feels comfortable. It has the same scent as of the hand and body hydrator not too overpowering but I wish the face product was without it. Apart from that this stuff is really good for the winters. I'd personally recommend these products to anybody who is looking for an affordable range for their slightly dry skin both in summer and winter. But they won't suit you much if you have extremely flaky and itchy dry skin.